Rainer Moog grew up in Cologne and received his first musical training there. He studied at the Cologne Musikhochschule with Ernst Nippes and Günter Kehr, at the Detmold Musikakademie with Lukas David, Tibor Varga and Bruno Giuranna as well as at the Juilliard School in New York with Walter Trampler as a DAAD scholarship recipient. 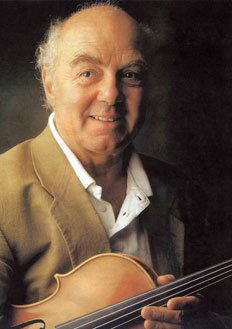 From 1974 to 1978 he was the solo violist of the Berlin Philharmonic. In addition to pursuing an international career as a soloist, he collaborates with many chamber music ensembles including the Philharmonic Octet Berlin, the Berlin Soloists, the Glinka Quartet, the van Hoven Quartet, the Vegh Quartet and also the Amadeus Quartet for recitals of quintet repertoire. He has appeared at important festivals on all continents, from Alaska to New Zealand, and was artistic director of the music festival in Porto Carras, Greece as well as co-leader of the Hwam Chamber Orchestra in Seoul. Rainer Moog was a faculty member at the Nordwestdeutsche Musikakademie Detmold, the Hochschule der Künste Berlin, the Royal Conservatory in The Hague, at Indiana University in Bloomington, Indiana, at Yonsei University Seoul as well as at the Cologne Musikhochschule until his retirement. He has given international master classes in Switzerland, Finland, Greece, Germany, France, Japan, Korea, Taiwan, Australia, New Zealand and the United States. Rainer Moog has also served as a juror for international competitions in Munich, Geneva and in Japan. His performances of much of the solo viola repertoire has been featured in radio and TV broadcasts and on record labels.